This website, FamilyTree.com can be of real assistance for any level family history researcher. If you are just starting, the basics are explained in clear and easy to follow formats. If you have been working at the research for awhile, there are informational sections to help you move even further. For the long-time and advanced genealogist the newest online sites, databases and tips for research and preservation are provided. Review of major genealogical sites such as Ancestry.com, MyHeritage.com, FamilySearch.com, US Gen Web Project, Genealogy Bank and Find-A-Grave, to name a few are great to read over. The meaning behind specific family surnames is a fun category to explore. A search box is available or just skim over the alphabetical list – remembering the surnames do have different spellings. Included are the famous and notable people over the years who shared the same family name. Cultural Heritage can be fascinating to learn more about a specific ethnic, regional or national background; such as Italian, English, Japanese, Russian or Spanish. Use the search box to see if any of your family heritage is available on the site. In Local Heritage you can learn more about the numerous states and regional differences that makeup the United States. Within each state section is its brief historical overview, with its residences involvement in American events along with its diverse cultural makeup. The category of Genealogy 101 will really help the newbie to family history research. The difference between ‘genealogy’ vs ‘family history’ is explained. Examples and explanation of a ‘pedigree chart’ is on the site. Everything is to put a ‘real face‘ to an ancestor’s name which includes their strengths or their weaknesses, their abilities and their achievements. A Genealogy Dictionary can be useful at anytime. This alphabetical list covers nearly any term or phase a researcher could come across. You will see the term ‘Gregorian Calendar‘, not sure what is covers, the dictionary on FamilyTree.com has it covered. Then the long running ‘FamilyTree.com Genealogy Blog‘ should be checked on a regular basis. 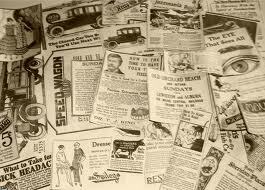 All the latest news, activities, databases, programs or events relating to family history are covered in the blogs. Go to the top right corner and click on the Genealogy Blog link. Also at the top is a tab titled “Research“. This section has a full listing of of web sites and places to do some of your best research on those ancestors. From American Civil War sites to using Google most effectively, to military records to using local newspapers to learn more about your ancestors, the sources are listed with explanations of its use. 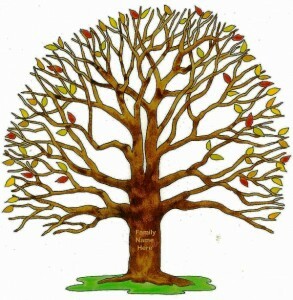 Also check out the social media Facebook page for FamilyTree.com, located on the home page with a link. Over 3,300 followers on this Facebook page. Join to make comments or ask questions. There is also a Twitter page for FamilyTree.com. Another resource – Click to link to Family History Daily.com with 50 free genealogy sites.